This connection we have isn’t going away, it’s only getting stronger. 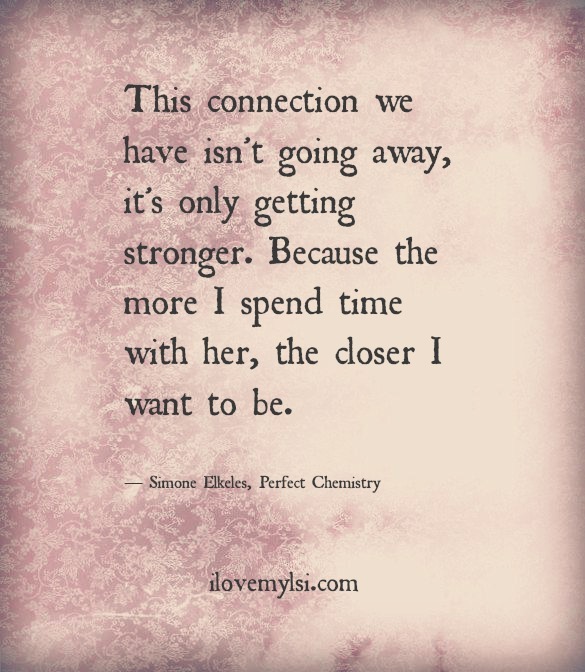 Because the more I spend time with her, the closer I want to be. 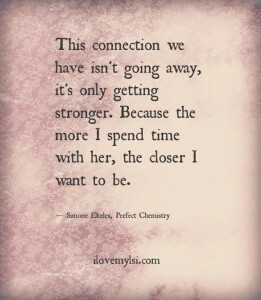 ~ Simone Elkeles, Perfect Chemistry. You’re funny, smart, charming, sweet.